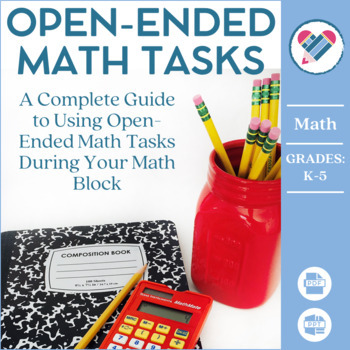 You will receive 86 pages of instructions, tips, tricks, and supplemental materials for planning for, creating, and using open-ended math tasks in your classroom. 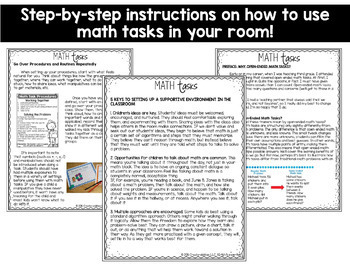 You will get step-by-step instructions on how to make math tasks work effectively in your room. 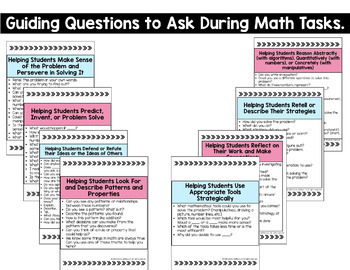 Plan out and create engaging math tasks to get your students thinking critically about math. Help your students develop their math vocabulary and math discussion skills during the problem solving process. Get step-by-step instructions on how to plan for tasks, create open-ended tasks, run tasks in your room, grade them, and MORE! Included in this pack are guiding questions, procedures, grading sheets, grouping sheets, anchor charts, warm-up activities, posters, and more! Save time with my print-and-go pages to help you get your tasks started off on the right foot. Many print and go pages to help save you time in organizing and preparing centers. Don't Have a Colored Printer? All Create-abilities resources are designed with ease-of-use in mind. Don’t have a color printer? No problem. Pages that do not render well in black-and-white have black-and-white copies included. 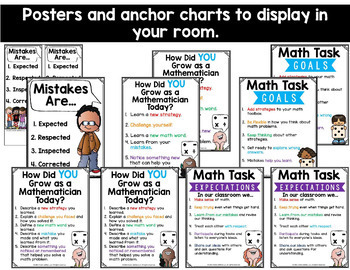 Be classroom-ready with a quick print.